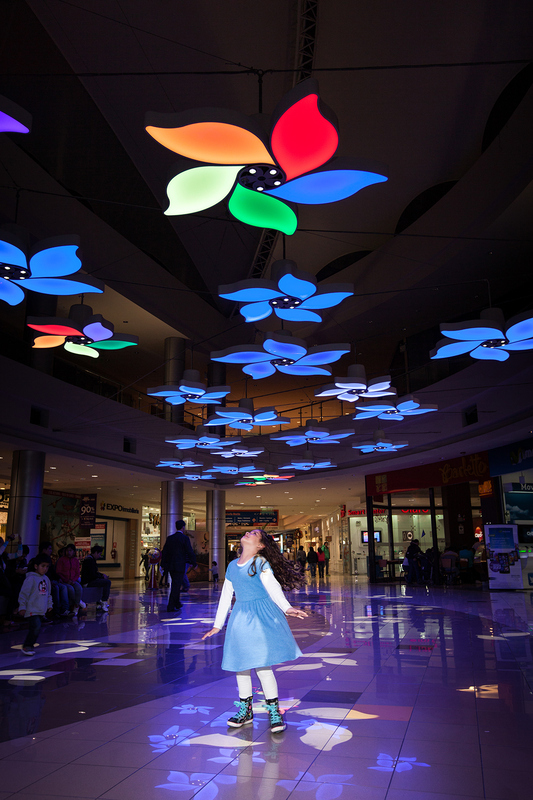 Light Garden is a permanent interactive landscape of light, sound and experience located at the Plaza Norte shopping mall in Lima, Peru. The installation is a playful combination of suspended flowers, projected floor petals and surreal sounds. Colourful shapes bounce off the glossy floor creating a kaleidoscopic landscape and we are transported into a magical world. 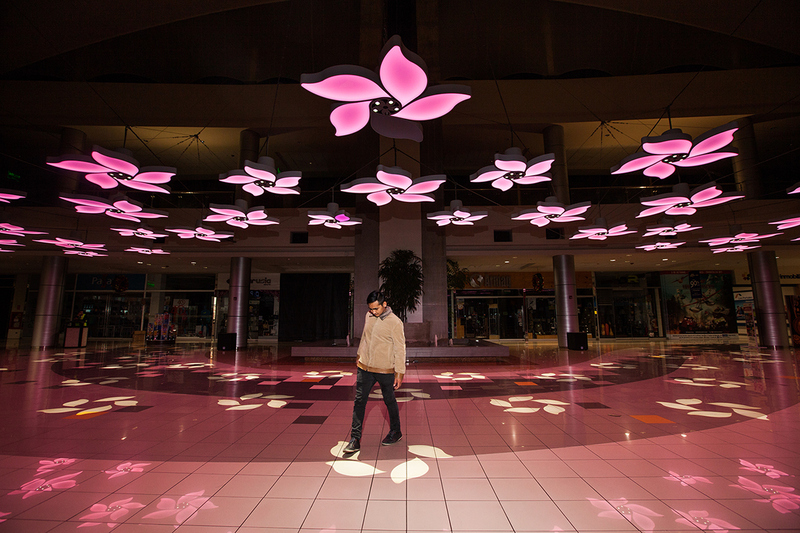 Light Garden is located in a circulation space of a retail mall, transforming it into a public place with a unique experience. The Flower motif design originated from the logo of the Plaza Norte retail mall, so the client’s message is sensitively interwoven into the playful experience. This project was realised in collaboration with Claudia Paz. 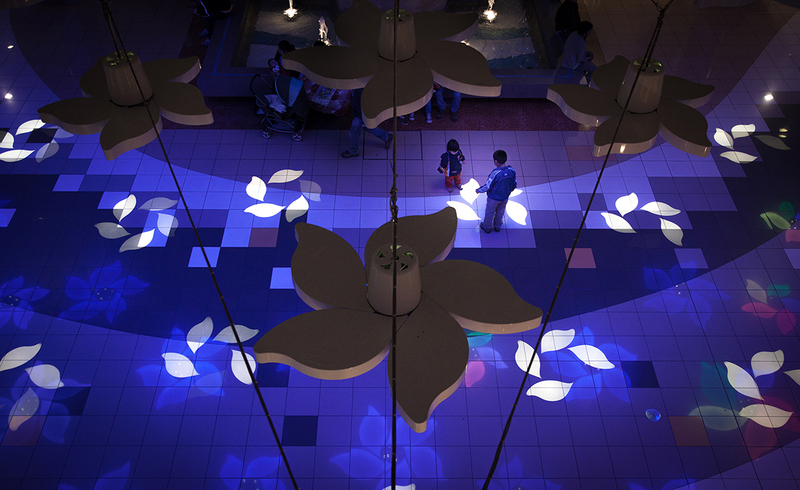 The installation has thirty LED flower sculptures suspended at four meters. 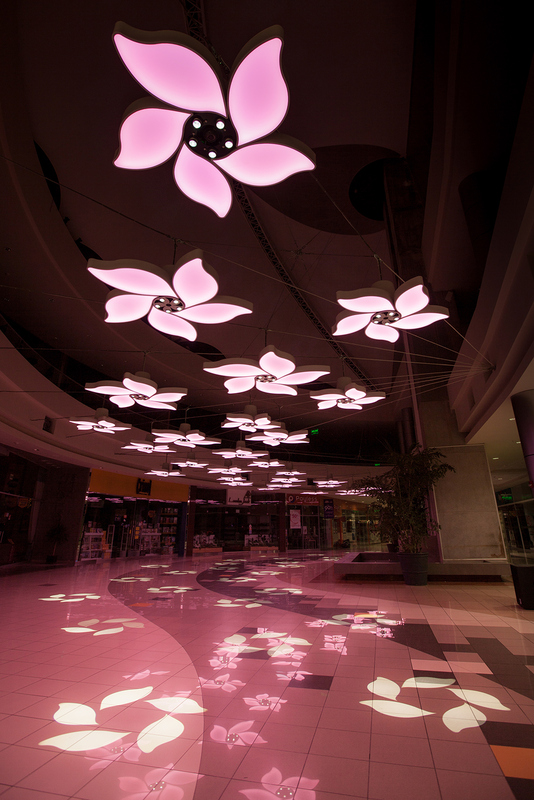 These flowers consist of five petal shaped light-boxes that provide animated shades of pastel light. 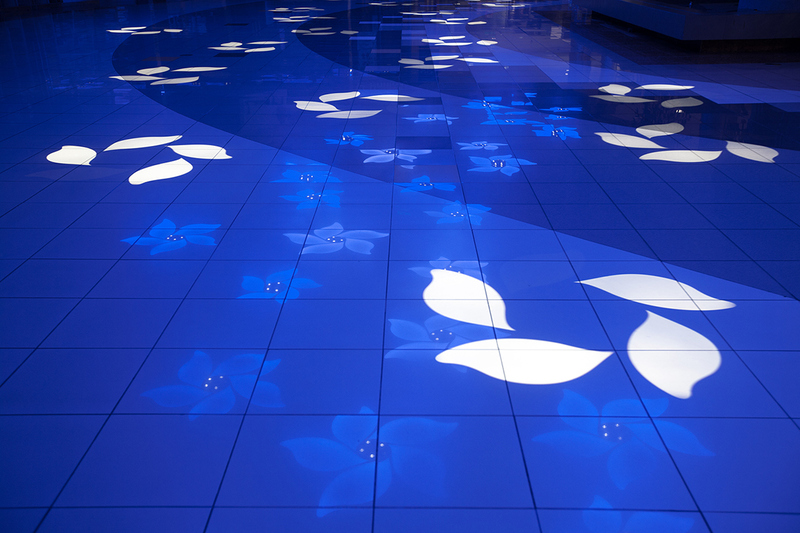 Inside the flower’s core are five bespoke LED gobo projectors that shine white petals onto the floor below, they are individually controlled and act as interactive triggers. 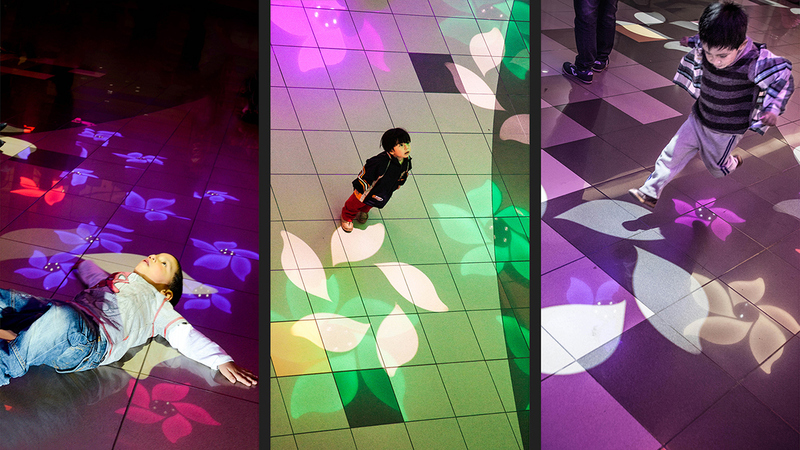 People can step on the petals and cause an instant reaction of sound and light. 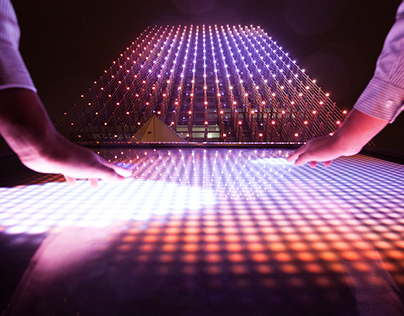 The complex interactive technology melts away, producing a real-world cinematic experience that is influenced by people moving through the space. Interactive games are intertwined with the lighting and acoustic shows, which encourage playful engagement and a social experience. For children this is a natural environment, they intuitively explore this mysterious landscape, which also brings a sense of playfulness to adults who are inspired to join in.